What's your favorite quote? “Of course it’s happening in your head Harry, but why on Earth should that mean it isn’t real.” – Albus Dumbledore What do you like to do in your free time? I’ve always been very involved in sports, so I love swimming, biking, watching football (Go Pack, Go! ), and participating in local community races. I also enjoy walking my dog, spending time with family and friends, reading, watching “my shows”, and coloring. In a sentence, why do you enjoy working at your company? I am never bored! 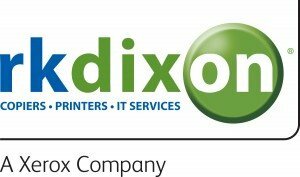 RK Dixon is constantly growing and evolving and I get to grow and evolve alongside. In a sentence, how does your company have fun on a regular basis? Food days! Our employees love to gather for holidays, birthdays, anniversaries, and other noteworthy events. In a sentence, how would you describe the employees at your company? RK Dixon employees are passionate and purpose-driven; their commitment to their work and to our customers drives our company success.